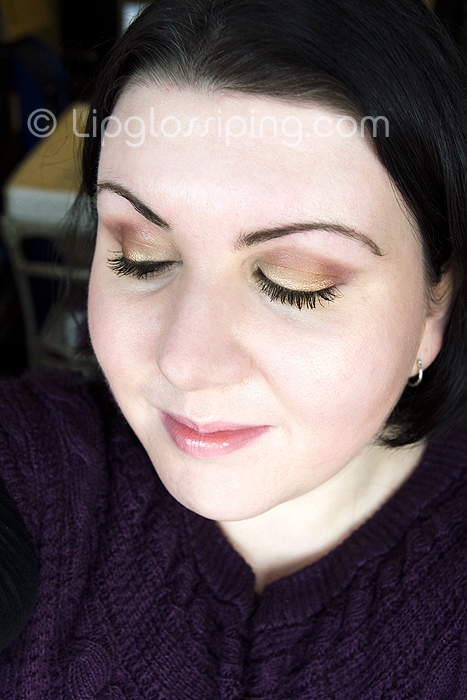 I’ve never claimed to be particularly artful in my makeup application… my ‘skillz’ leave a lot to be desired, but I won’t feel like I’ve “done Alice to death” until I’ve posted a day and an evening look using the palette. It’s also a little more intimidating now I appear to have picked up a fresh swathe of followers along the way – Hello! *waves*… I promise it looked slightly more blended in real life than it does in the picture. It’s a bit Autumnal but I liked it! Have you spotted any great daytime combinations you’re itching to try out? I really like this! And I find that things never look as awesome on my camera as they do in person. I was trying to take pictures of a Style Black look and while it was REALLY dark on me, the camera (and flash) made it look super washed out. 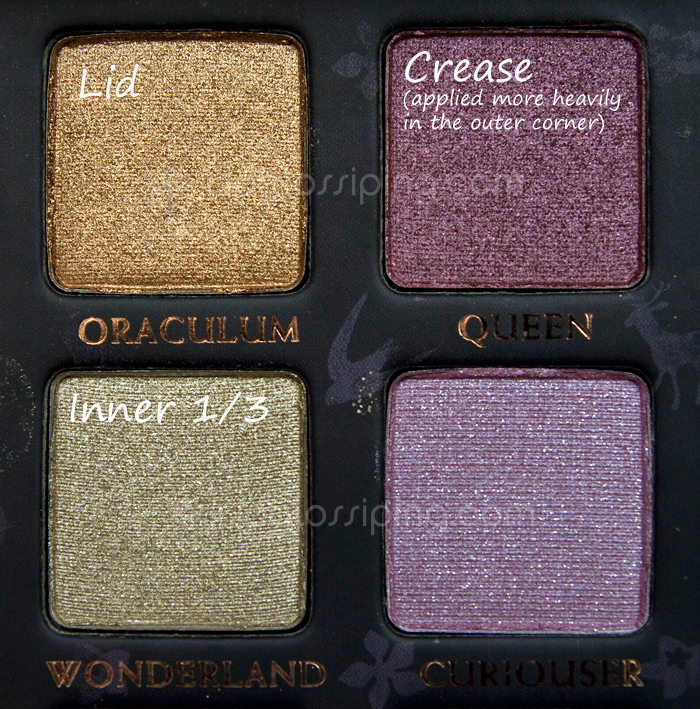 I gave in and ordered this, I did swatches of all the shadows you had names for and liked them, so I think I’ll be good! If I don’t, well that’s what friends are for. Have fun at IMATS!! “Autumnal” haha made me giggle that. Hope its not actually a real word though, otherwise Im gunna look slightly dumb! It looks gorgeous hunny, love the gold on the lid, so pretty. And you’re skills are perfect, none of us are make up artists, I think applying make up is always a learning curve. Gorgeous look – love the gold and purple. I need to get trying out my blending more, I need to be able to make looks like that. Have a lovely time at IMATS! Your top is the exact colour of my boudoir..aka my bedroom. I really like the colours you’ve chosen, I got a really nice palette in Boots today for £4(!) which I’m going to be using and abusing for some well needed FOTD’s. Hi, This is beautiful! The colours look fab and your blending ‘skillz’ are brilliant! Can’t wait for the night look or the 1st March!